MBALE – Budadiri West MP Nathan Nandala Mafabi has bounced back as chairperson of Bugisu Cooperative Union (BCU) in style after he was elected unopposed. This was after his rival, Julius Nakiyi, withdrew from the race on Tuesday, a day to the election, which was scheduled for Wednesday. And at the BCU meeting on Wednesday attended by over 600 members from different districts in the region, Fredrick Ngobi Gume, the State Minister for Cooperatives, declared Mafabi the chairman, ending a period of confusion and uncertainty about the leadership of the oldest cooperative unions in the country. Ngobi urged the farmers to use the union to fight poverty. “I urge the cooperative members not to listen to the people who want to divert them from developing the union yet they are not members of the union,” he said. Mafabi, in his acceptable speech, thanked the delegates for entrusting him with the mantle. “The delegates have proved the trust they have in my leadership and we are going to work hard to prove the people who are hired to fight the Union wrong,” he said. He added that through coffee growing, Bamasaba can fight poverty. “Coffee is only the crop, which was left to us by our ancestors, with potential to uplift us from poverty,” he said. Mr Nandala also urged farmers not only plant but also improve quality on the coffee in order to fetch higher prices. The meeting was attended by Bob Mushikori, the cultural leader of the Bamasaba, who urged government to stop fighting Nandala leadership but instead support him to develop the Union of his people. Mafabi’s election comes following several court petitions. 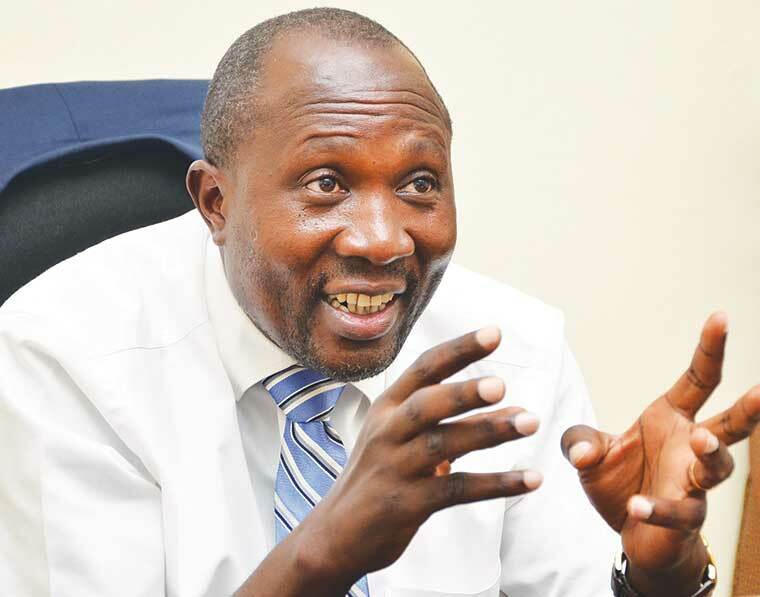 In September, the High Court issued an injunction stopping BCU Board led by Mafabi from handling the affairs of the farmers’ group, arguing that their term of office expired. BCU is comprised of 274 farmer groups but five of them, which Muruba, Bumatofu, Bumusabire, Bumbobi and Bukhaweka, had dragged the Board led by Mr Nandala to court, claiming that he could not continue transacting business on behalf of the Union when their term expired in March. Justice Tadeo Asiimwe ruled that the Board should stop handling the Union affairs until a fresh election is held.